QualityIP is a Southwest Florida IT Company that works to ward off any technology issues. Having a lot of time and effort into starting your business, now think long term care of keeping things running smoothly. QualityIP has the resources and skills to prevent and repair technology issues and ensure that your business continues to run efficiently. Allowing you to stay focused on the profit and customer service of your business. Security breaches are becoming increasingly commonplace in American business technologies. Despite this issue, IT security is the weakest part of many companies’ underpinning. IT security is a difficult task and requires the skills of IT expert to be managed correctly. QualityIP has a managed IT service that monitors your technological base and performs updates and maintenance self-sufficiently before you notice them. QualityIP utilizes a managed IT services model as opposed to a Break/Fix service model. This model simply requires a monthly payment for constant monitoring and maintenance; all technical issues taken care of before they can detrimentally impact the business. Saving you the time of contacting them for an issue that arises, keeping your focus where needed. 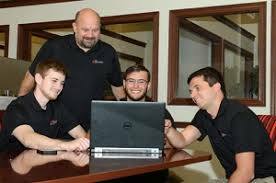 Southwest Florida IT Company is distinguished to handle all troublesome technology working to ensure their clients’ businesses maintain maximum efficiency. 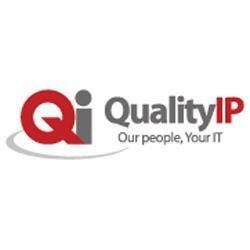 QualityIP is an award-winning company that has grown to be one of the largest Managed IT Services companies around the world. QualityIP’s engineers monitor and cure issues that arise from security shortcomings and intrusions. The application of Managed IT Security is one of the reasons why they are a leading Southwest Florida IT Company. Your business will see significant improvements in their daily productivity. In a technological economy, digital marketing is one of the most important aspects of any successful business. ADVAN Design works with small to mid-size businesses in Northeast Ohio and abroad to maximize the utility of their digital marketing. We focus our resources on the identification and application of clients’ marketing potential. QualityIP is a valued client of ADVAN Design; therefore, they receive a myriad of benefits from our digital marketing and SEO packages. We design our services to increase visibility on Google Searches and activity on social media platforms such as Facebook, LinkedIn, Twitter, and more! If you are looking for a Southwest Florida IT Company, you will find everything you need with QualityIP’s managed IT services. 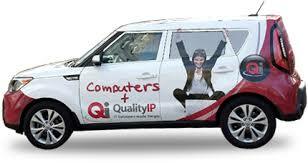 Learn more about QualityIP on the ADVAN Design Blog or visit their website.